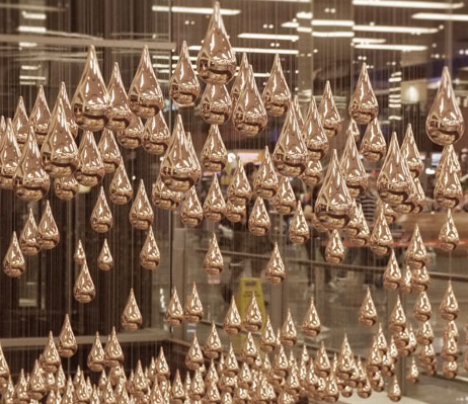 Over a thousand golden raindrops undulate in programmed patterns, rising and falling in waves and spirals, in a beautiful installation by German design collective ART+COM. 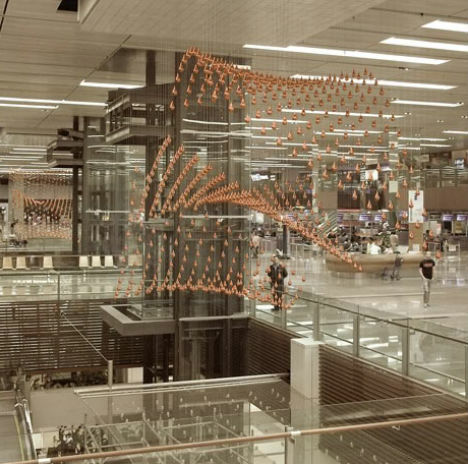 Dangling from steel wires, the sculptures put on a mesmerizing display at Singapore’s Changi Airport. 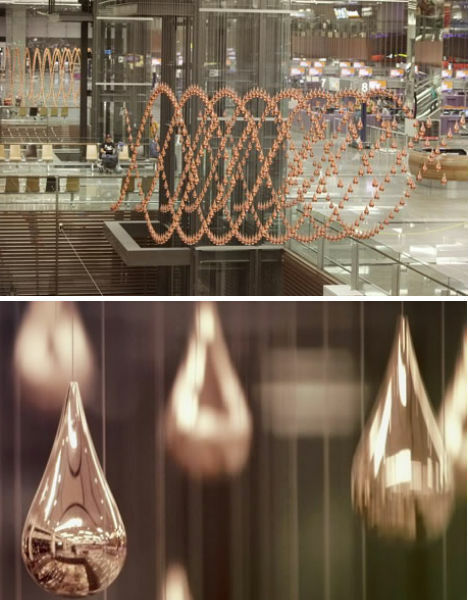 The exhibition, entitled ‘Kinetic Rain’, consists of two sets of 608 copper-covered aluminum raindrop scuptures that are computer-controlled to move in choreographed patterns. 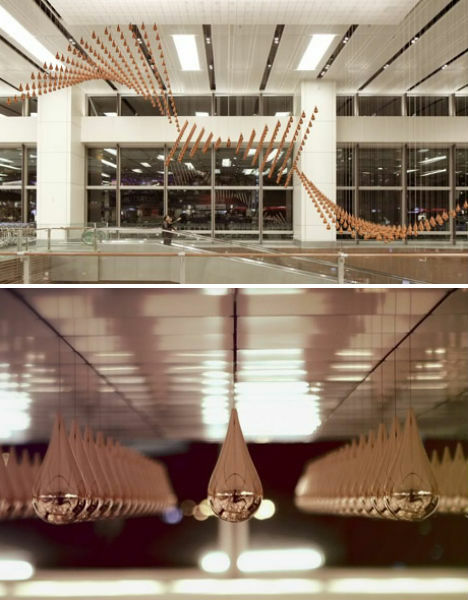 It was commissioned as a calming centerpiece for the airport’s departure hall. 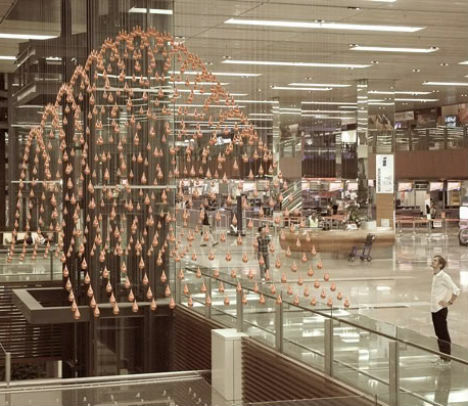 “The sculpture aims to be a source of identity for its location, and provides a moment for passengers to contemplate and reflect despite the busy travelling atmosphere,” says ART+COM. See a video of the installation in action at Dezeen.